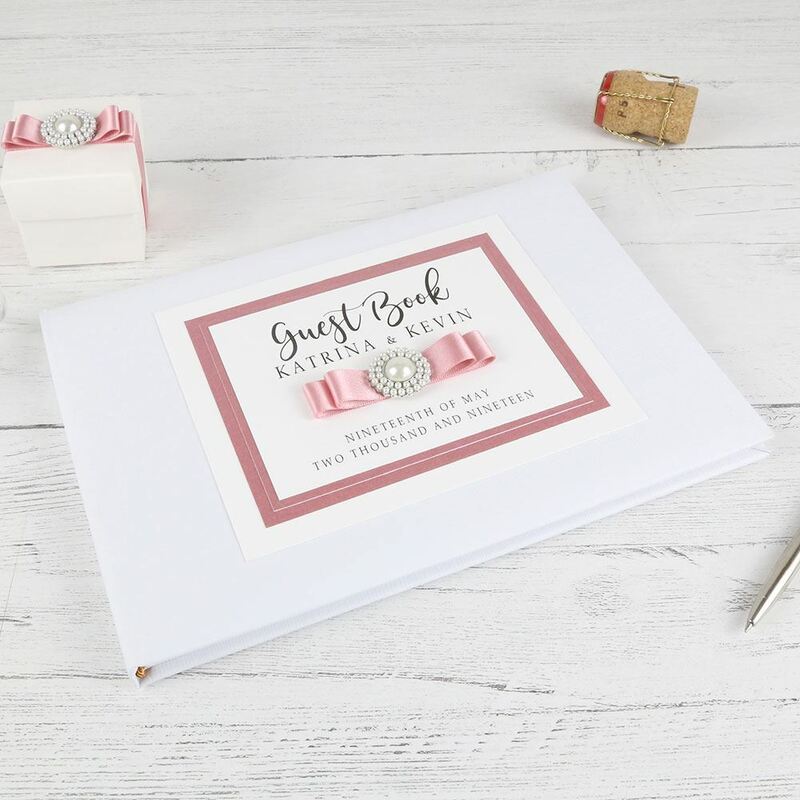 Personalised with your names and the date of your wedding written in words, a satin bow is finished off with a gorgeous pearl decoration to add that vintage feel to our guest book. 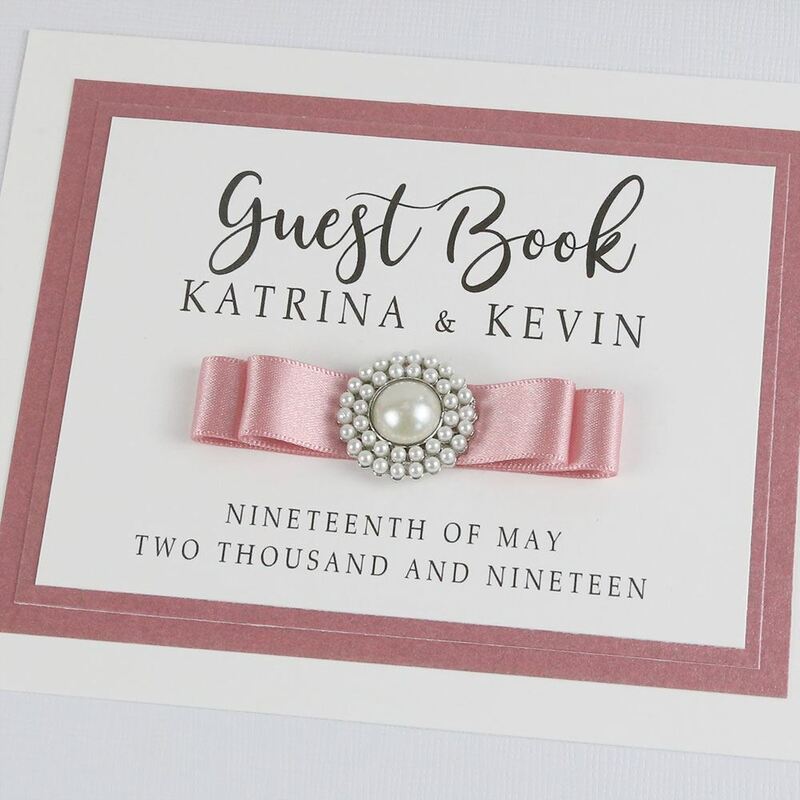 Personalised with your names and the date of your wedding written in words, a satin bow is finished off with a gorgeous pearl decoration to add that vintage feel to our guest book. 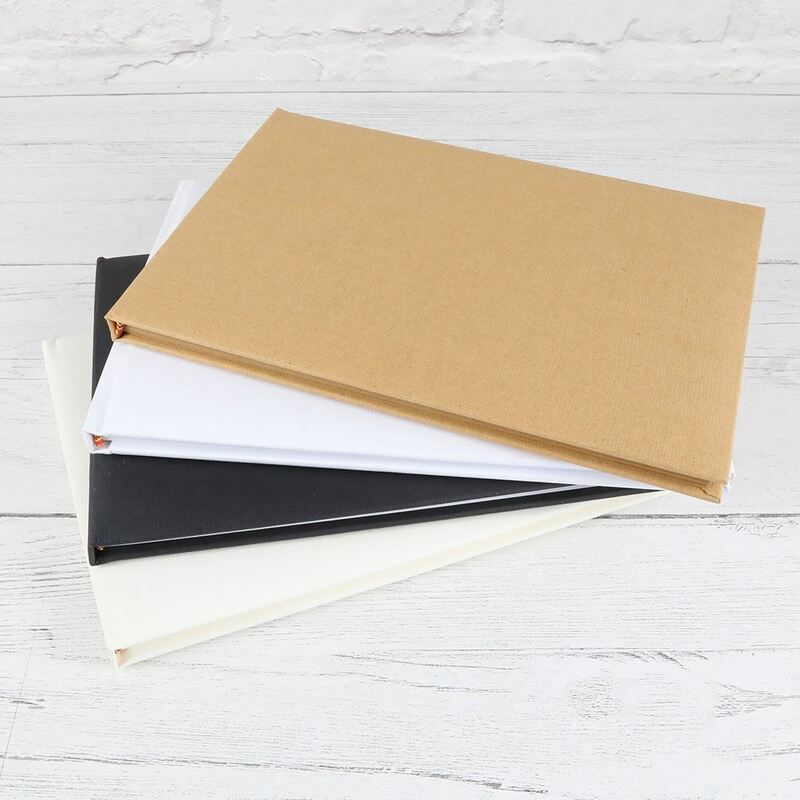 Available in a wide range of colours so you can create the perfect keepsake from your special day. 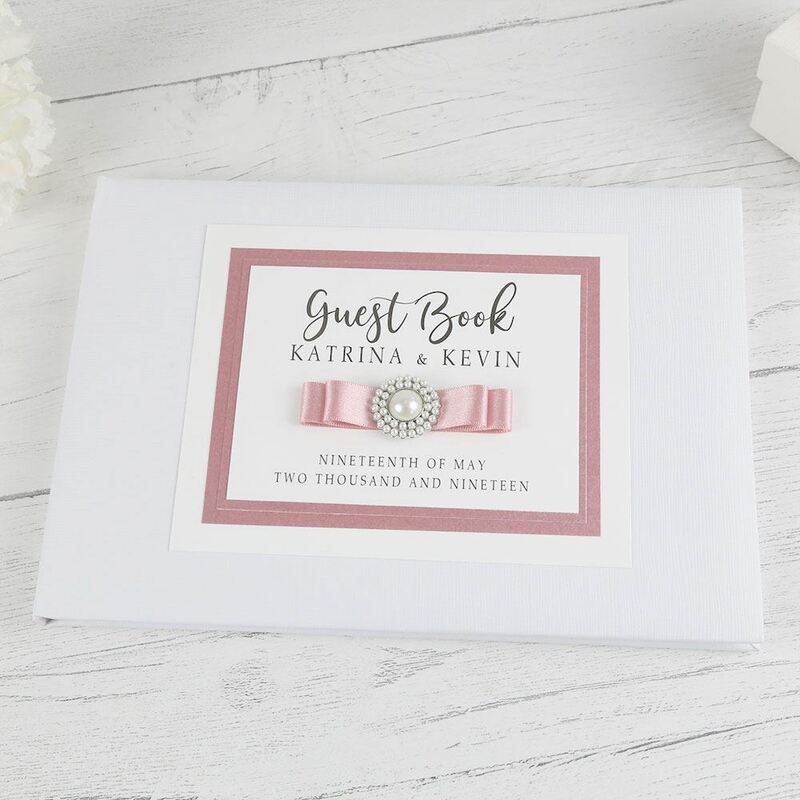 Unless you specify otherwise, this book will come with the date written in words rather than numbers.